Quentin Dolmaire, Lou Roy-Lecollinet, Mathieu Amalric et al. 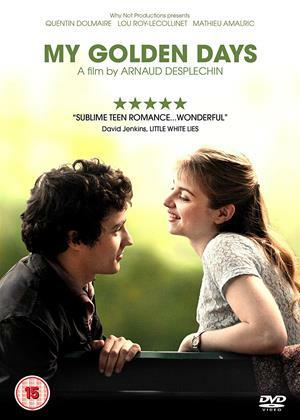 French drama written and directed by Arnaud Desplechin. As anthropologist Paul Dedalus (Mathieu Amalric/Quentin Dolmaire) prepares to leave Tajikistan to return to Paris, he begins to reminisce about his childhood and relive some of his fondest and most vivid memories. They include reliving time spent with his great-aunt, growing up with his mother, father and two younger siblings before his mother's tragic death. When Paul tries to re-enter France he finds another childhood incident stopping him from doing so, before he goes on to relive his teenage years and 20s spent studying in the city, where he begins a long and intense relationship with his sister's friend Esther (Lou Roy-Lecollinet).